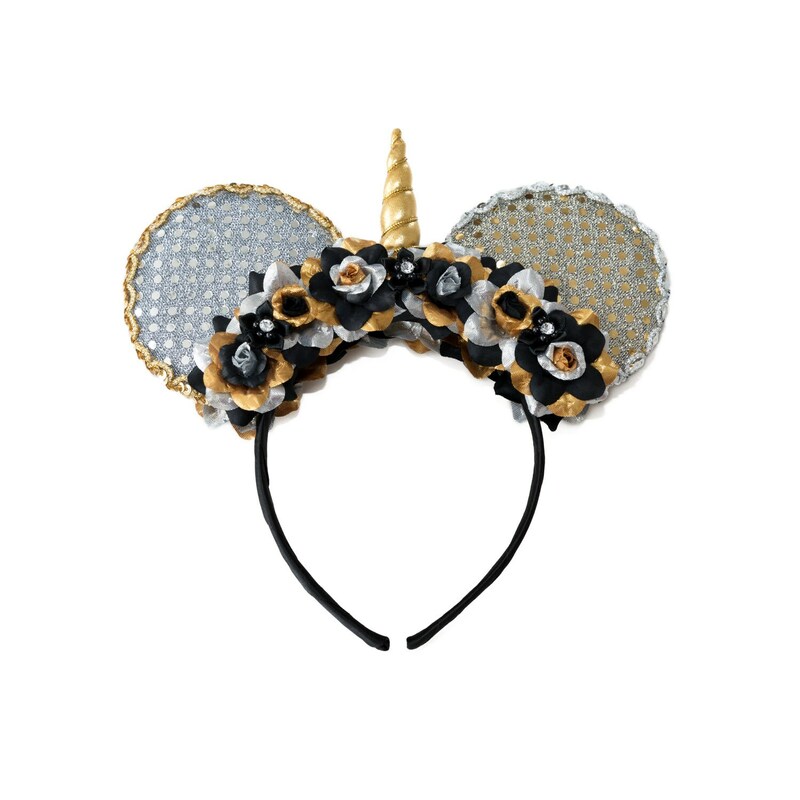 Sparkle and shine when wearing this amazing Kitty Katrina Black / Silver / Gold Unicorn Mouse Ears! 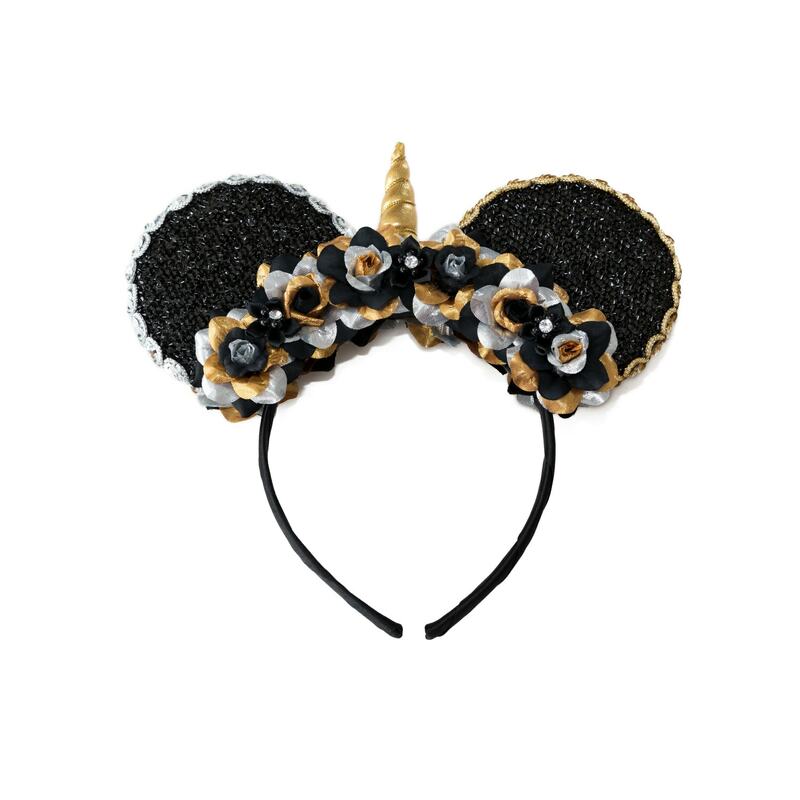 This beautiful headband features a gold unicorn, along with black silk and silver / gold metallic roses decorated with miniature rhinestone / black satin flowers (3 on each side - 6 total); one ear is covered in sparkling silver / black fabric with gold sequin trim and the other ear is covered in sparkling gold / black fabric with silver sequin trim, and a black satin covered headband. Also, these ears are decorated on both sides making them reversible - wear it one way today and the other way tomorrow (see images for both sides).